"From Dallas to Chicago, from New York to Washington, D.C., in every corner of the U.S., Turkish women successfully stand in the forefront with their success in business and professional life, and academics. Here are the Turkish women and their success stories." SAN FRANCISCO- First Republic Bank , a leading private bank and wealth management company, today announced that Gaye Erkan has been named the Bank's Senior Vice President, Chief Investment Officer and Co-Chief Risk Officer. Erkan will oversee the investment portfolio of First Republic as Chief Investment Officer of the Bank. She will also direct the enterprise risk management function, initially as Co-Chief Risk Officer. She has extensive expertise in quantitative risk modeling, stress testing and balance sheet optimization for financial services companies. By Nermin Abadan-Unat - I am a big fan of Turkish Philanthropy Funds. I might have a bias since my son, Mustafa Kemal Abadan, is one of the founders and serves on TPF board. But, beyond that, TPF's commitment to philanthropy has never ceased to amaze and inspire me. So, I hope you'll join me in supporting TPF's girls education initiative for Mother’s Day this year. I am proud to endorse the work of TPF – supporting education, helping after disasters, giving individuals and communities the chance to succeed and so. But the issue that is dear to my heart is girl’s education. It is dear to my heart because I am who I am because of the educational opportunities given to me by the early Turkish Republic. 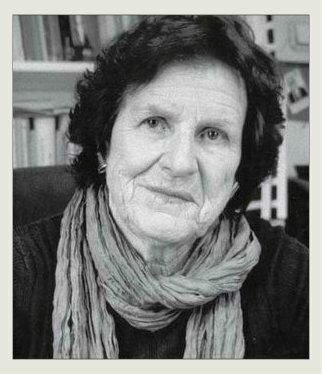 Yıldız Yuksek Blackstone was born in Alsancak, outside of Izmir, and graduated from Izmir's Dokuz Eylul University. Blackstone grew up surrounded by fashion. She began her career in retail working with her parents who own 30+ retail stores and a franchise of the upscale Beymen Department Store in Izmir, Turkey. She had always dreamed of living in America, and this dream came true when she went to the US, after graduating from university, to do master's work. She received her Degree in Fashion Design and Merchandising from the Fashion Institute of Technology. 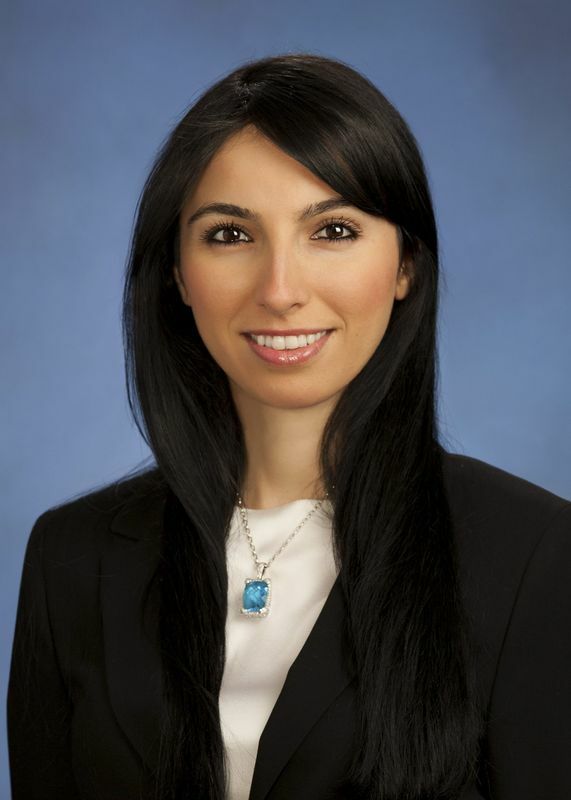 FORT LEE, NJ (MARCH 12, 2013) - Zeynep "Z" Ekemen has been selected by CoStar Group, Inc. (NASDAQ: CSGP), commercial real estate's leading internet provider of information, analytics and marketing services, to receive the prestigious CoStar Power Broker Award. This annual award recognizes the "best of the best" in commercial real estate brokerage by highlighting the U.S. firms and individual brokers who closed the highest transaction volumes in commercial property sales or leases in 2012 in their respective markets. Entrepreneurship in Turkey is being celebrated on the global stage once again, as the World Economic Forum’s Schwab Foundation has just awarded Bedriye Hulya an award for Social Entrepreneur of the Year. Hulya, who the founder of Turkey’s first chain of women-only gyms, as was the only woman selected from the Middle East and North Africa and Turkey in 2013. Hulya began her b-fit gym franchise in February 2006 in a middle-class neighborhood of Izmir, one of Turkey’s major cities. Since then, b-fit has enabled hundreds of women to become entrepreneurs in their own right. As of today, there are 160,000 gym members at 220 gyms around the country, staffed by over 500 women employees and 250 women franchisee in 47 cities in Turkey and Cyprus. 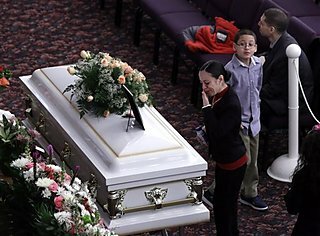 By EILEEN AJ CONNELLY Associated Press - As the family and friends of Sarai Sierra were saying farewell on Friday to the 33-year-old New York City woman killed while on a solo vacation in Turkey, investigators there detained the siblings of a man wanted for questioning over her death. Turkey's state-run news agency said police briefly took the two brothers and a sister of the possible suspect into custody in the northern city of Karabuk. They were released after being questioned about their brother's whereabouts. The Anadolu agency said their DNA samples were taken. 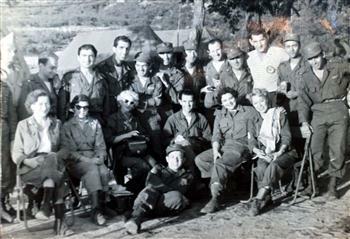 Marilyn Monroe visited Turkish soldiers fighting in the Korean War, recently revealed photos show. The legendary beauty icon is seen amongst the soldiers in a set of photos taken in the early 1950s during the Korean War, for which Turkey had sent troops. Monroe is pictured amongst the army men, wearing a Turkish uniform and a dark pair of sunglasses. Average Americans are the subjects of the hit dramedy “Downsized,” a timely online series that was recently named “The best of the straight dramas [on the web]” by the Los Angeles Times. 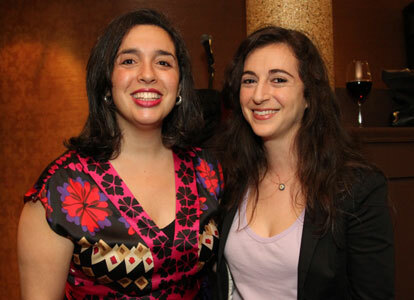 The show takes place in New York City and features two Turkish-American characters, Leyla and her sister Dünya. Turkish-Americans Play Big Roles in Hit Web Series ?Downsized? When she was a junior in high school, when everyone was sending out college applications, she knew all she wanted to do was design. Teachers always taught them to apply to as many colleges as possible. She only applied to one; it was The Fashion Institute of Technology in Manhattan. It didn't concern her that there was a chance she would not get accepted and she didn't have a back up plan. So, after months of anticipating the acceptance letter, she received the rejection letter. She went to the school to see if she could talk to the dean of fashion design. There was nothing he could do to admit her that semester, but he recommended she would take courses at the school to build her portfolio. After a couple of courses her drawing had improved dramatically. She put together a new and improved portfolio and submitted it the next semester. She continued her courses at F.I.T. and anticipated that acceptance letter once again. She wasn't sure if she could take another rejection. If she didn't get accepted this time she might have given up. Her family kept reminding her and asking what if she doesn't get accepted this time? She did not know. Vanessa V. Seckin has practiced 10 years immigration law. According to the Census Bureau, since the 1970s, the number of Turkish immigrants has risen to more than 2,000 per year. Members of this most recent immigrant group vary widely. Many opened small businesses in the United States and created Turkish American organizations, thus developing Turkish enclaves, particularly in New York and New Jersey City. Still others came for educational purposes. Increasing of Turkish-American population in New York and New Jersey area, attract more professional to serve the community. Vanessa Seckin, wife of well-known Turkish interventional pain doctor Ali Inanc Seckin who works for Hackensack University Medical Center, has practiced immigration law for the last 10 years and now she opens her own law firm. Seckin has a diverse knowledge in immigration law that it is comprised of individual, start-up, mid size, and large multinational companies and organizations encompassing of broad range of industry sectors. 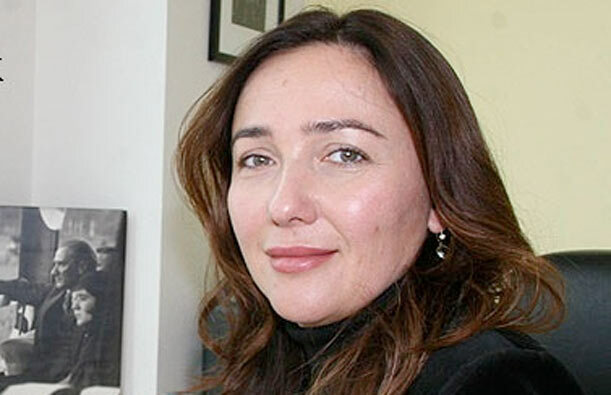 Ebru Ejder is the new director of the Turkish Culture and Tourist Office in New York, replacing Nihan Bekar who has returned to the head office in Ankara. Ejder has worked with the Ministry of Culture and Tourism of Turkey since 1998 and previously worked in the Turkish Culture and Tourist Office in New York as a deputy director. In 2011, the office will launch a new advertising and public relations campaign. In the last three years, visitor arrivals to Turkey from the U.S. increased by 23.17 percent, thanks in part to the advertising in New York’s Times Square, high-profile television coverage on the “Martha Stewart,” “Anthony Bourdain,” “Today Show” and “The Bachelorette” programs and the 2010 ASTA International Conference in Istanbul. Istanbul was also the European Capital of Culture for 2010. Turkish-American television host and actress Defne Joy Foster, 32, was found dead in an apartment Wednesday in Istanbul's Caddebostan neighborhood. Foster reportedly went out with friends Tuesday night and stayed in her friend's apartment on Tanzimat street in Caddebostan, where she was found dead. The report said Foster was suffering from asthma. She was thought to have died from respiratory difficulty and a heart attack. The certain cause of death will be determined after an autopsy, the report said. Foster, the daughter of a Turkish mother and an American father, had married three years ago and had a son. She first appeared on TV screens as a VJ on Kral music channel and later went into acting on various TV series. Foster last participated in "Yok Böyle Bir Dans," the Turkish version of "Dancing With the Stars," where she was eliminated last week. Mona Diamond was appointed the Turkish honorary consul general for the state of Georgia in 2005. In the same year, she became the chairman of the American Turkish Friendship Council, a not-for-profit organization for the promotion of close relations between the United States and Turkey. 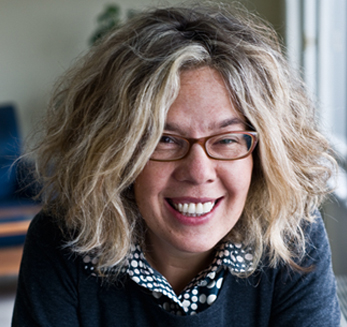 In 2009, she organized and chaired an International Women’s Entrepreneurship and Leadership Summit in Istanbul, Turkey, and in September 2010, she partnered with two Turkish American business organizations and the American Chamber of Commerce Executives to head a delegation of civic and business leaders from throughout the U.S. to several Turkish cities. Ms. Diamond responded to the following questions from GlobalAtlanta about her current activities in promoting relations between Georgia and Turkey as well as her plans for the coming year, including her efforts to open a breast cancer clinic in Mersin, Turkey.